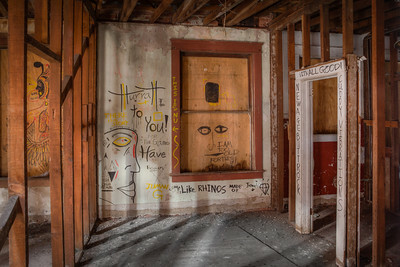 Inside the Grandi: An Abandoned Northern California Landmark. Details in my blog post. 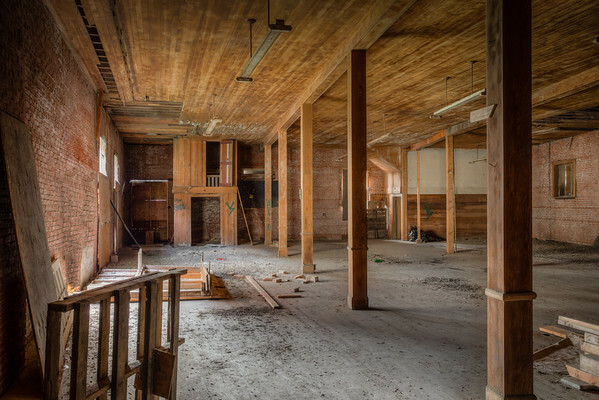 Most visiting or passing through Point Reyes Station in Northern California has at least glanced at the huge brick and mortar eyesore and probably have not even given it a second thought. 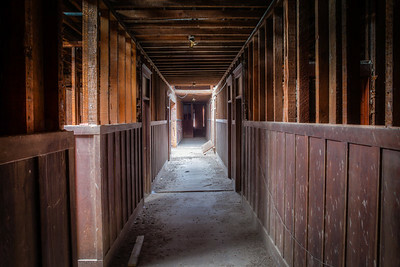 Standing on the main street through town (also Highway One), the building has been boarded up and abandoned since 1950. But the building had a much livelier past. The town was called Olema Station when it was founded in 1875 and would not be known as Point Reyes Station until 1891. The first store was built in 1883 and a man named Salvatore Grandi purchased it in 1887 and Grandi’s Mercantile Company was born. When the 1906 earthquake struck, not only did a locomotive leaving the train station fall sideways off its tracks, but Grandi’s brick building also collapsed. It was replaced with what is now the Western Saloon. When Salvatore Grandi retired in 1908, he the lot across the street to his nephew, who built a much larger Grandi Company, which sold everything from cattle feed to housewares to pianos. 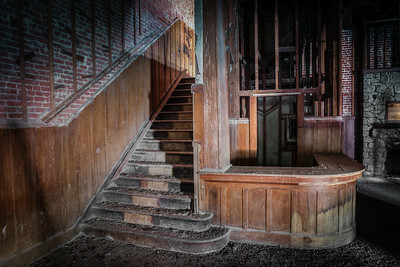 The second story of the building was a 20 room hotel and dance hall. Dwight D. Eisenhower stayed in the hotel in 1940. In 1950, the Grandi closed. 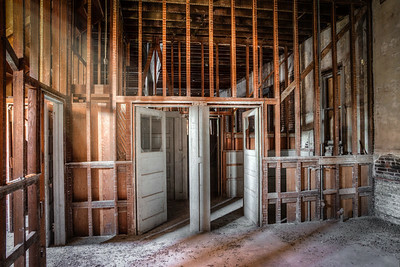 The building has been derelict and boarded up for decades. 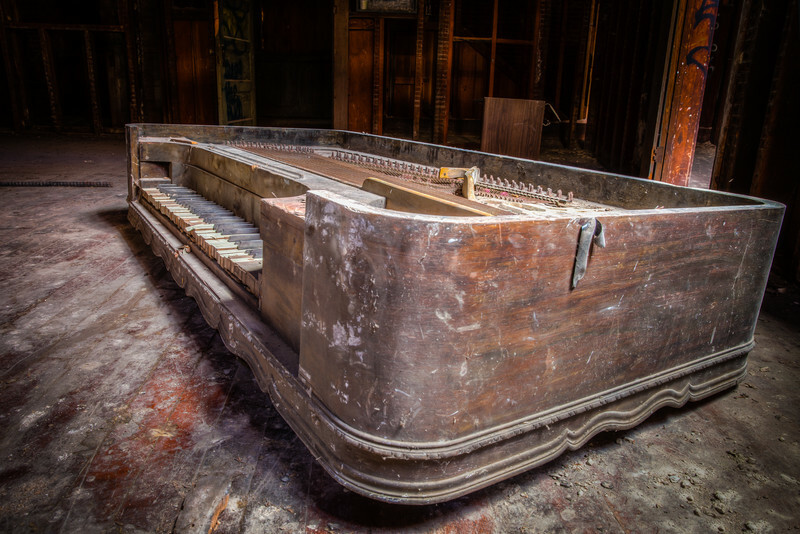 A grand piano lies in silence on the floor of the old dance floor upstairs. The new owner had plans approved in 2005 to renovate the building, including the 20 room hotel in the style of the landmark’s heyday. In late December, 2012, all plans for the future of the Grandi came to a halt, tangled in bureaucratic red tape. 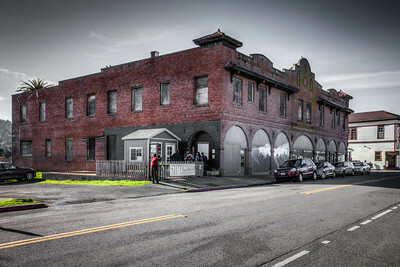 Let’s hope the Grandi doesn’t meet the same tragic end as San Francisco’s Fleishhacker Pool House, another historic landmark which survived decades of uncertainty and neglect, only to burn to the ground this month.